There are few things in life that I loathe more than blatant ignorance with a side of prejudice. It never ceases to amaze me that people can live their whole lives without so much as a thought about how anyone else may choose to live theirs. As I mentioned in my post, The Beauty of Difference, I find that the balance of beauty in this world is centered in the fact that we are all so very different beings. This world would be a little boring if everything was black and white and Barbie all over. Don’t you think? One of the ways that I have learned more about people beyond my tiny corner of the world is through travel. I truly believe that travel may be one of the many cures for ignorance, along with a proper education, voracious reading, and domestic exposure to foreign ideas or people. Recently, I spoke with a teacher who told me about the severe ignorance in her class. She teaches in the South, and she told me that because she was not born here in the U.S. (even though she is American), her students proclaimed that she could be a terrorist. Mind you, she was born in Japan to American parents stationed there as part of a military deployment. Where are these kids getting these preconceived notions of people who are simply not born within the 50 U.S. states? It pains me to think that the prejudice in that particular area of the country would be that deeply ingrained. When you travel, oftentimes you are forced to learn about a new culture, or hopefully, you simply choose to do so. 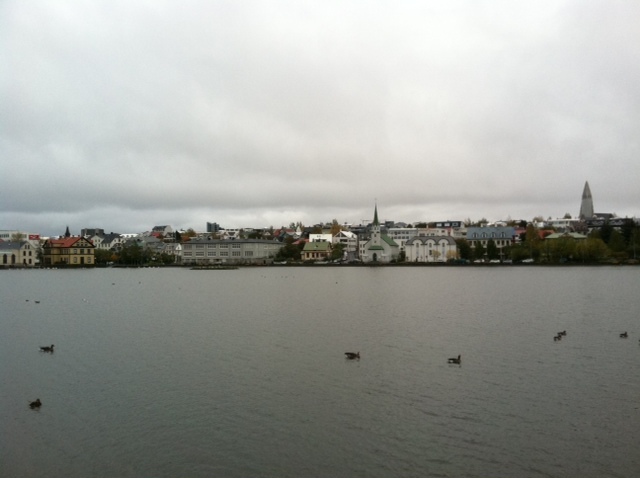 About a year and a half ago, I embarked on a five-day trip to Iceland with a girlfriend. I had done some research before we left, but I knew that the best way to learn about something is by doing—or by experiencing it firsthand. The first day of our visit, I wanted to take in as much of the country as possible, before we started some of the more physical excursions. We began our day by searching for the local history museum in Reykjavik to study up on our Icelandic history and culture. We also explored the town by foot, giving us time to “get lost” in the city streets, talk to locals, and stumble upon hidden offbeat treasures. Because we stayed in an American hotel, I wanted to make sure that we were doing other things that were “native” to the area; supporting local businesses and not international chains. When I travel internationally, I always keep in mind that I am a visitor, and the ability to spend time somewhere that I do not live is a privilege that another country has allowed me, not vice versa. Almost five years ago this May, I traveled to China with a small group of college students. We visited Beijing, Xi’an, Shanghai, and Guilin, in southern China. Every moment of my trip over there was something that I had never encountered in my comfortable life in the U.S. It seemed that everything about China was truly upside down and backwards from our Western-style culture. Some of the situations that I found myself in made me extremely uncomfortable, but I knew that I would have a better understanding of myself, and this other country, culture, and people when I returned. Sure enough, my love for China has been higher than ever since my trip; with the acknowledgement that there is still so much I want to know and don’t understand. If people would spend more time being “local” instead of “touristy” when they visit a foreign place, I think that not only would they get more out of the visit itself, but they would also get more of a lifelong experience. Learning about a new culture, religion, or ethnic tradition may seem a little scary to those who have led relatively insular lives, but the knowledge of the entire experience may leave them with more of an appreciation for something that is very different from themselves. I have never regretted a moment of exploration in a place unlike my home, and I have placed the highest value on the experiences that left me feeling the most uncomfortable, because it is in those types of moments that we are doing the most learning and growing. Maybe this is a long shot, but I think that instilling a strong desire to travel and truly stretch the limits of unique experiences in our younger generations may be a key to creating a more tolerant mindset. What better way is there to begin to appreciate someone who is not like you than by actually meeting them, recognizing similarities in our human spirits, and finding out more about what makes that person smile, laugh, cry, or succeed. I hope that the hunger I have for exploring the world and all it has to offer is contagious to those I interact with, and I hope that I can inspire some to take an uncomfortable leap for the sake of gaining a whole new perspective, and a little more tolerance.